You can tell Xcode not to open the welcome window by deselecting the checkbox at the bottom of the welcome window. Suppose you deselect the checkbox and decide later you want to open the welcome window. How do you open it? 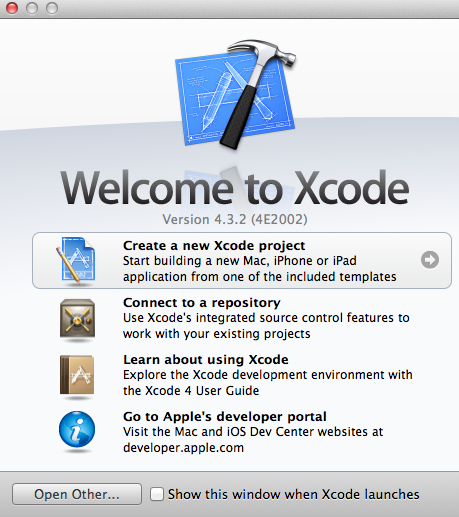 In Xcode 4 choose Window > Welcome to Xcode to open the welcome window. It was helpful for me, thank you.